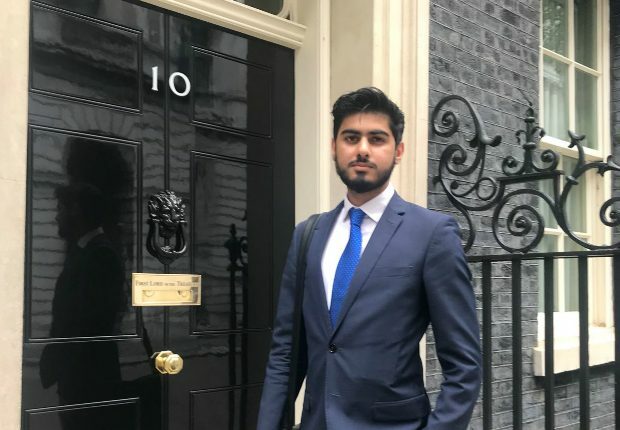 This summer I was selected to intern at the Cabinet Office as part of the Summer Diversity Internship Programme. I was with the Diversity and Inclusion Strategy Unit working on a number of exciting yet insightful projects. Luckily for me, there was also another intern named Kieran working on the same project which made it all the better. Fortunately for us, we came in at just the right time when the team was working towards its big flagship event titled ‘National Inclusion Week’. We planned to hold a number of practical workshops which aimed to equip participants with steps they could take in order to make their own working environments more inclusive. One of the workshops was based on leadership and would highlight the importance of Inclusive leadership and how someone can strive to become an inclusive leader. I have learnt a great deal and it has truly made me appreciate the importance of inclusion in the workplace. And it has also made me realise that diversity isn’t just important because we must represent our wider community, but that there is a business case for it too. Studies have frequently shown that a diverse workplace does a lot better when it comes to profitability and growth. I will certainly be taking these experiences on to my next endeavour. I would like to thank Jazz Bhogal (Deputy Director at cabinet Office) for her support and guidance. I have learnt a tremendous amount simply by observing her leadership skills and her unique ability to motivate her team. I would also like to give a big thank you to Fraser (HR Business partner) who helped me throughout and gave some really useful advice. One of the highlights of the internship was when I was invited to Number 10 by Helen Lederer (Head of Corporate Services, No. 10) who was kind enough to give me a real insight into what goes on behind the scenes. Tim Morris, Former Ambassador to Morocco also gave me a tour of The Foreign and Commonwealth Office and told me about his incredible career as a diplomat. One thing that was constant and what really stood out throughout the internship was the sincere advice I was given by my seniors. Despite coming across interns for years, they shared the same passion and energy when talking about their work. This internship has been a unique one for several reasons. But the one thing that has really stood out is the passion of the civil servants, the drive to make this country better day in day out. They are truly inspirational and in many ways, don’t always get the credit that they deserve.